Rich heirs rarely continue their successful parents' businesses. It is generally believed in Russia that wealthy businessmen's children are unable to handle major economic issues: they do not need to work, as they can live well on their parents' millions. There is another opinion on the matter, though: it is not safe to control large capitals in Russia. Many Russian oligarchs are used to fighting for life, because they were raised under hard living conditions, which can not be said about their own children. 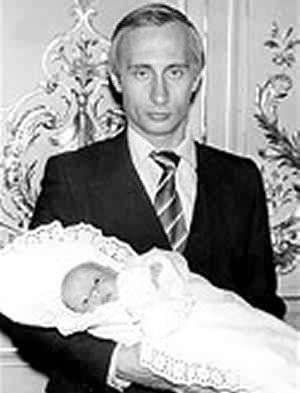 Some Russian oligarchs are young, and it is not known how many children they will have in the future. Chelsea's owner Roman Abramovich is the father of five little children; Boris Berezovsky has six kids; Yukos's CEO Mikhail Khodorkovsky raises four children (two of them are twins). As a rule, rich parents ignore public education for their offsprings: they prefer to teach them at home, basically for safety reasons. Moscow mayor's wife, Elena Baturina, founded a school of her own in Moscow, where her daughter currently studies. Baturina's school is as highly closed educational institution in Moscow. A complex of buildings is surrounded with a high wall, and surveillance cameras control the situation inside and outside the school 24 hours a day. Needless to say that it is rather hard to keep teenagers locked in their homes. Vladimir Putin's two daughters, Maria and Katya have been studying at home for recent five years already. The girls are 19 and 18 years old, but none of their coevals has ever seen them. If a rich businessman insists on a foreign school for his child, a young man or a girl will have to experience similar isolation in a foreign country. Nothing is known about the fate of Mikhail Khorodkovsky's son, Pavel, for example, who went to study in Harvard. The same can be said about Viktor Vekselberg (who is known as the owner of unique Faberge eggs): his 26-year-old daughter is a student of the prestigious Yale University, and his 16-year-old son studies at Fieldstone school in New Jersey. Nothing was known about Boris Berezovsky's daughter Lisa, when she was studying arts in Cambridge. However, as soon as she returned to Russia, she attracted public attention immediately. Someone liked her paintings, although people were more interested in her own image. Lisa did not know how to count money – she could spend it for everyone around her; she went to VIP night clubs and restaurants. She has a police record, when she was arrested for taking drugs. Lisa's sister, Ekaterina, is walking along a different way in her life. Boris Berezovsky tried to make his daughter become an influential figure in big business. Ekaterina used to take a top post at the end of the 1990s at the automobile company LogoVAZ and at Russia's major TV channel ORT. However, her business career did not bring her any good, aside from her successful marriage. Ekaterina wedded Egor Shuppe, the owner of the company City Line. The couple is raising two children now, and the mother tries not to recollect her business years. Boris Berezovsky hopes for his two sons, Artyom and Gleb. Another Russian oligarch, oil tycoon Ralif Safin, made a pop star of his daughter Alsou. The oligarch currently takes the post of the Altay regional governor. Alsou became his most successful business project, as the governor says. The money that he invested in his daughter returned him great profit. Ralif Safin has a 27-year-old son, who is usually referred to as the “sweet man.” Marat Safin (not to be mixed up with the tennis player) owns four sugar factories and a confectionery in Moldavia. The purchase was estimated at $12 million plus investments to reorganize the production. The son of banker Alexander Smolensky, 24-year-old Nikolai, leaves all other “golden boys and girls” behind, though. Nikolai Smolensky sold everything that was left of his father's banking business and amassed the $2.9 billion fortune, which made him enter Forbes' top 100 of richest people. The young man bought the British company TVR, a maker of elite sports cars. Nikolai Smolensky assured the British society that TVR would not be turned into another Ford. He stated that he was not interested in obtaining so-called quick money, that is why, he said, TVR's limit of 1,000 cars a year would not be exceeded. Nikolai Smolensky intends to become a London resident: he has already acquired a house there for eight million pounds sterling.